From Union Station to Wynkoop, Tattered Cover to Warehouse Row, learn how the largest collection of historic warehouses in the West transformed from railroad hub to skid row to urban hot spot. Denver’s past, present, and future can be found on 16th Street. The street dates from the founding of the City in 1858 and has been a vital thoroughfare ever since. 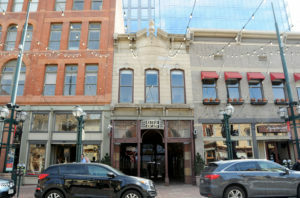 The street is ever changing and continues to be downtown Denver’s Main Street. Join us on the Historic 16th Street Tour, and walk through Denver’s history, enjoy the architecture, and see 16th Street in a new light. 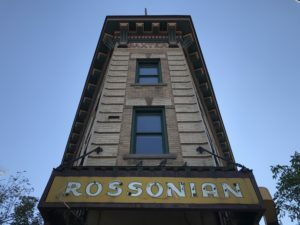 Explore Denver’s oldest block and learn about the first city center, its transformation to a skid row, and how local citizens saved the block of buildings from demolition to create Denver’s first historic district. This tour includes exclusive access to the Daniels & Fisher Clock Tower with 360 views of Denver from the 17th floor. Tickets are currently on sale for our 2019 Walking Tour season, which runs from May 1st to October 31st. Explore the neighborhood known as Quality Hill with stops in front of the Boettcher, Zang and Malo Mansions, among others. This tour highlights many of the key people who established Quality Hill and who’s names remain recognizable in Denver today. 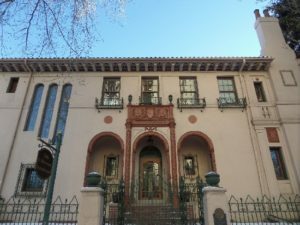 This tour will explore the Welton Street corridor and transport you back in time to 1920-1950 when the street was the heart of the African American community in the Rocky Mountain West. Discover the stories of jazz greats, military heroes, and the impressive lists of “firsts” that this thriving and powerful community added to history. This tour will be given by Terri Gentry who can trace her families routes to Five Points, and will share some of her personal memories of the neighborhood. 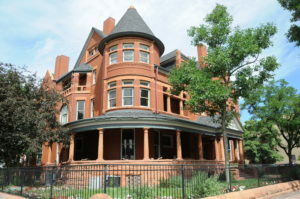 Explore Denver’s first streetcar suburb on this popular walking tour. This year we are fortunate enough to have Bill West, longtime Curtis Park historian and resident, join the tour for a few stops to share his knowledge. This tour begins at Mestizo-Curtis Park and explores the residences and businesses of Curtis Park. Book your private group tour today! Group tours are available year round for groups of 8 or more. Call 303-534-5288 x. 5 at least two weeks prior to your preferred date to set up a group tour. 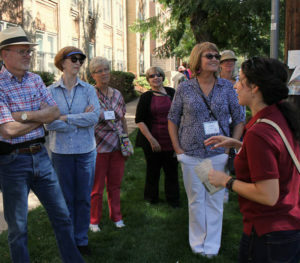 Interested in learning more about the history of Denver through an engaging walking tour? 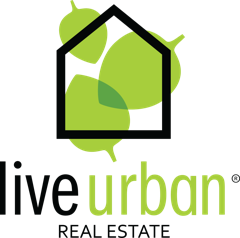 We are currently offering private group walking tours of Lower Downtown, Capitol Hill, Larimer Square and Historic 16th Street. It only takes 8 people to constitute a group, and our knowledgeable guides will bring the history of the city to life for your group. From Union Station to Wynkoop, Tattered Cover to Warehouse Row, learn how the largest collection of historic warehouses in the West transformed from railroad hub to skid row to urban hot spot. 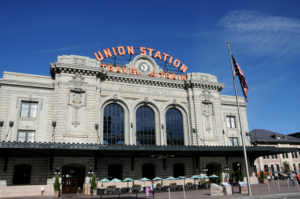 The tour starts and ends at the historic Denver Union Station, lasts approximately 90 minutes, and covers about a mile. Explore the beautiful and charming historic mansions of Capitol Hill and uncover the stories of families who lived in these homes at the end of the 19th century. 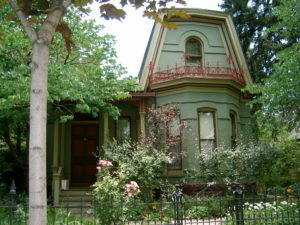 This tour begins and ends at the Molly Brown House Museum, lasts approximately 90 minutes, and covers about 1.2 miles. At the site of Denver’s founding, you will explore Larimer Square “Then & Now,” learning about the first bustling city center, which eventually turned into skid row. Local citizens saved the block of buildings from demolition, and it became Denver’s first historic district. This tour includes access to the historic Daniels & Fisher Tower where guests will see Denver from the Tower’s 20th floor. * There are select days that the Larimer Square Walking Tours will not include access to the D & F Tower, and will last 70-80 minutes. Please note the description”with the Clock Tower” or “without the Clock Tower” when booking. The tour without the Clock Tower is $15/person. This tour meets at the corner of 16th Street and Larimer Street, in front of the Overland Sheepskin Co. The tour lasts 60 minutes. 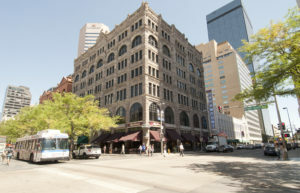 The Daniels & Fisher Tower Tour will lead you through the history of the 16th Street Mall, and the Daniels & Fisher Department Store. Hear William Daniels vision for “a monument by which Denver shall be known”. The view from the 17th and 20th floors are only available through Historic Denver’s guided tours.